There are basically two different approaches to pricing business services. Cost-plus is where you work out the costs associated with a job and then add on a margin for profit. Value pricing is where prices are determined by how much customers are prepared to pay for a product or service. The ideal pricing method takes both approaches into account by considering costs as well as market rates and customer perceptions of value. 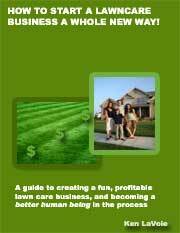 Every lawn care business owner will have a different strategy for pricing that they have developed over time. However, there are some basic methods and formulas that are common in the industry. Below I'll go over two of these well used methods to price a lawn mowing job. 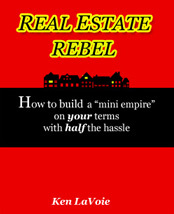 If you want to win new accounts it is important that you come up with bids that reflect market rates. If you have done some market research for your lawn care business you will have a fair idea of what local rates are per square foot. Many of your competitors will advertise their rates on a square foot basis and it is not hard to call them and find out what they charge. It is important that you start by doing this research. The next step, once you get an enquiry is to do your inspection. You should start out by walking around the property, measuring it if necessary and noting down any features that could possibly add additional time onto the job. Buy a measuring wheel if you are not good at pacing or estimating distances visually. Lawns that have unusual shapes can be broken down into smaller areas so that it is easier to calculate their size. Then add the parts together to calculate the total size. Take note of any lawn features that will add time on to the job such as unusual contour or obstacles that have to be mown around. You may have to move a trampoline in order to cut the grass underneath for example. 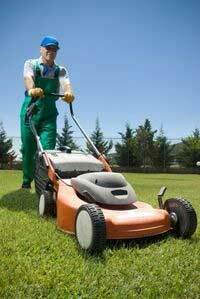 You may not be able to access certain areas with a 'walk behind' lawn mower and have to cut them by hand. Once you have calculated the approximate total area of the lawn in question you can then multiply this figure by average market rates per square foot in the area. You can then add on allowances for difficult contours, obstacles, access issues or other factors that increase the difficulty or the time needed to complete the lawn. Finally, add on a suitable profit margin and any sales taxes to arrive at the total price estimate that you can give to the customer. This method takes more experience to get right but is much quicker and can appear to be more professional. It is usually the easier method for beginners who have had at least a little experience mowing lawns. Start by examining the lawn and do a mental calculation of the time that it would take you or one of your staff to complete a lawn of that size and shape. As in the example above you have to make allowances for obstacles and other irregularities that will inconvenience you. You can then multiply the time estimate by your hourly cost of labor and add on a suitable margin for overheads and profit per lawn to arrive at a final price. Many experienced lawn care business operators in the US see a rate of $60 per man hour or $1 per minute as being a desirable target for an estimate. This is definitely in the upper part of the price range though in most states. To reach the $60 price level you would have to have fairly high price averages in your area and market your services at a premium. I would say that a more realistic national average is around $40 to $45 per man hour. If you are pricing a lawn care job by the hour never let customers know this as they could feel cheated. If you quote them for a certain time period and then they find that you are finishing in a much shorter amount of time they may feel that they should be paying less.